D4R partner once again with adidas to deliver an impactful execution in the heart of London. The brand approached us with a brief for an enhancement to the adidas Women’s Bra and Tights area, which has made its first statement within Sports Direct on Oxford Street. The key aim? To take the existing section within the branded space to the next level, directing more shopper attention, intrigue and impact. Working with adidas’ global concept and the retailer’s guidelines, we designed and developed a soft hardware solution for the space; including print POS, delivery and the entire installation process. A striking central lightbox not only encourages a shopper’s eye but it also subtly acts as a division between tights and bras; creating easily shoppable zones for a consumer. 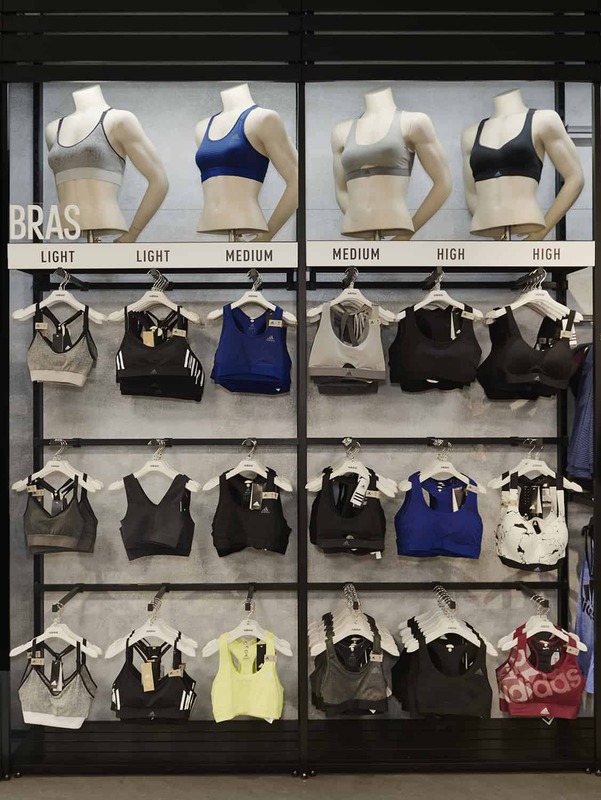 With just four mannequins displaying the different styles of bras and their intended fit, the attention is immediately on the hanging products themselves – meaning that a clear, decisive layout was essential. Minimal but impactful graphics within this area are aspirational; capturing the latest wellness trends within branded imagery. 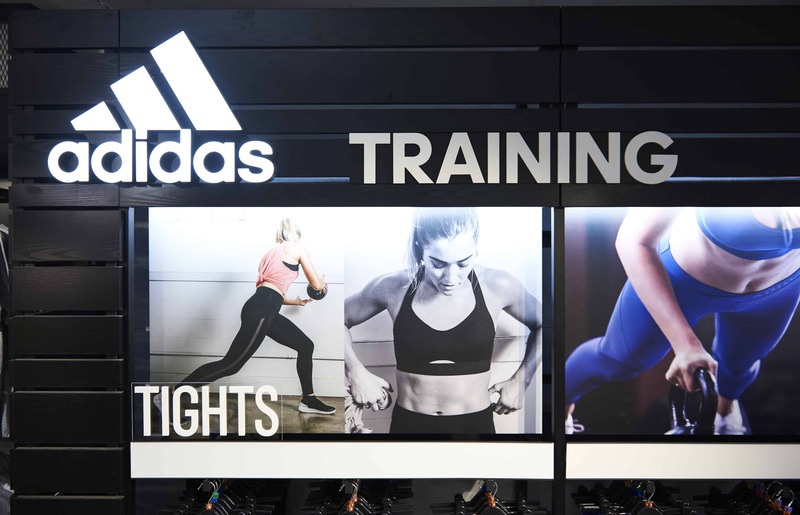 Accomplishing the brief set out by the adidas team, the first of its kind may sit within Sports Direct on Oxford Street, but look out for the roll-out of this execution in key spaces!